Of course we told our Grandmother...and that was her response. I remember thinking to myself, huh....that's a strange thing to say...but it left an impression that I carry with me to this day. How about "You're barking up the wrong tree."? Yep...this "Grandpa gem" was uttered at least a couple of times in my life. Generally, when I was trying to convince him to allow me to do something that we both knew wasn't going to happen. I have, in my arsenal, an entire generation of witty euphemisms that my Grandparents gave to me over the years. Every now and then, I summon one from the depths of my memory and use it...generally with my children...because the look on their faces when I casually toss one of these gems into casual conversation is priceless! Feel free to use them if you'd like, I'm sure that my Grandparents (and probably yours) would laugh right out loud to hear us quote them! Today, however, I'm sharing a different kind of bark. 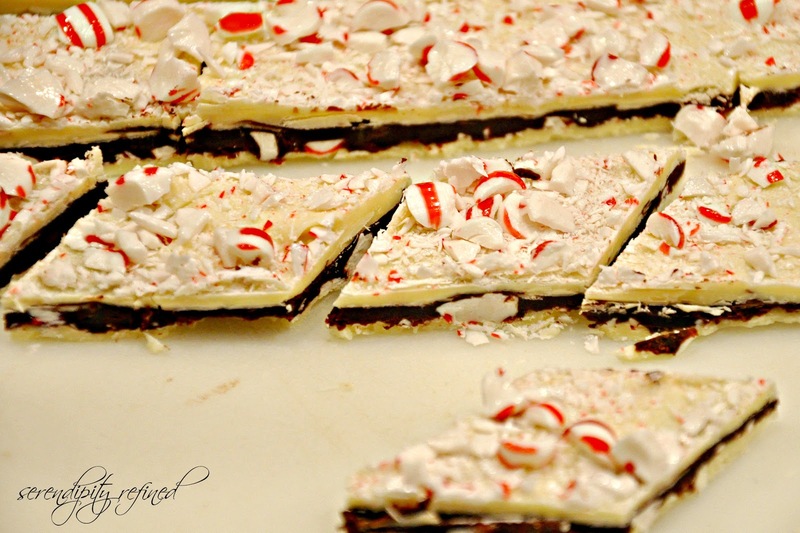 Layered Peppermint Bark. It's really easy to make, has only a handful of ingredients and takes less than two hours from start to finish. 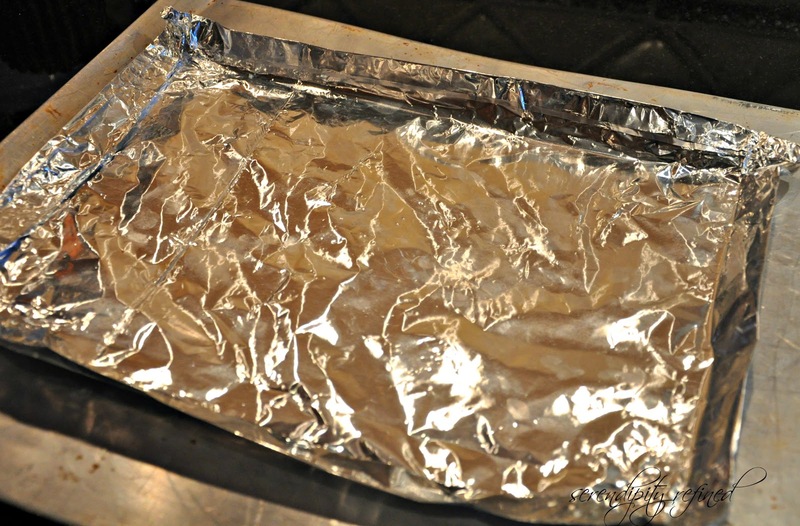 Make a 12 x 9-inch rectangle from foil and place it on a baking sheet. 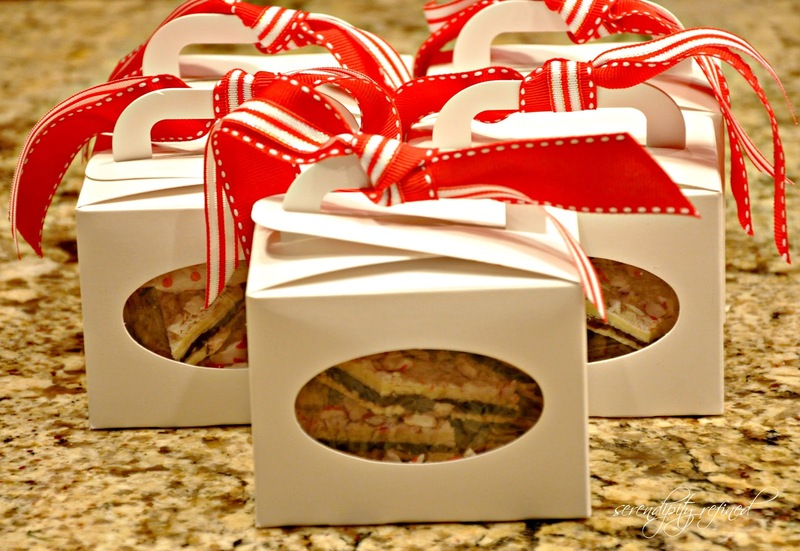 (You can also cover the bottom of a baking sheet with foil and mark a 12 x 9-inch rectangle.) 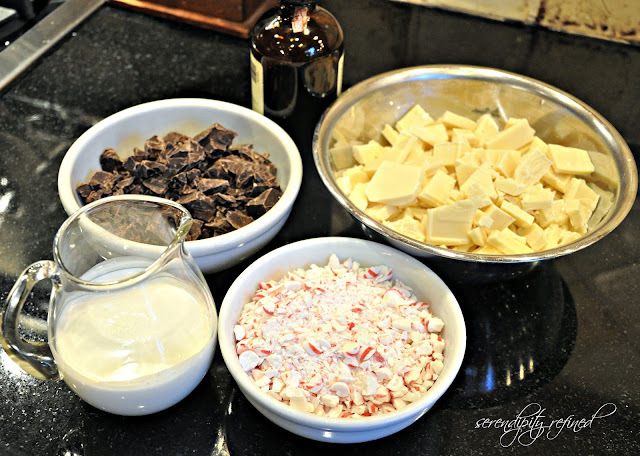 Stir white chocolate in a double boiler or metal bowl set over a saucepan of barely simmering water (do not allow bottom of bowl to touch water). 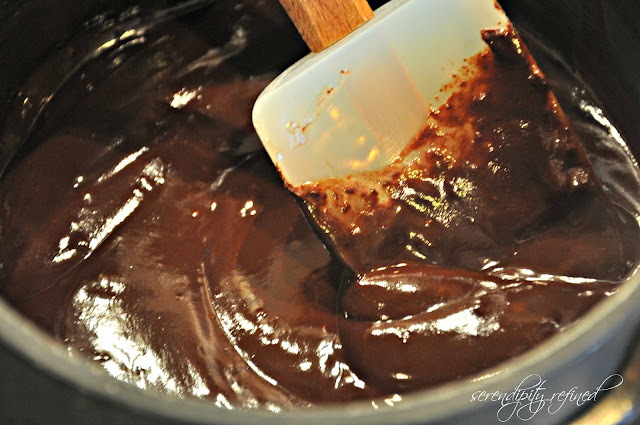 Continue stirring until the chocolate is melted and smooth and candy thermometer registers 110°F. (chocolate will feel warm to touch). Remove the pan and pour 2/3 cup of the melted white chocolate onto the rectangle of foil. Using an offset spatula, spread the chocolate to fill rectangle. 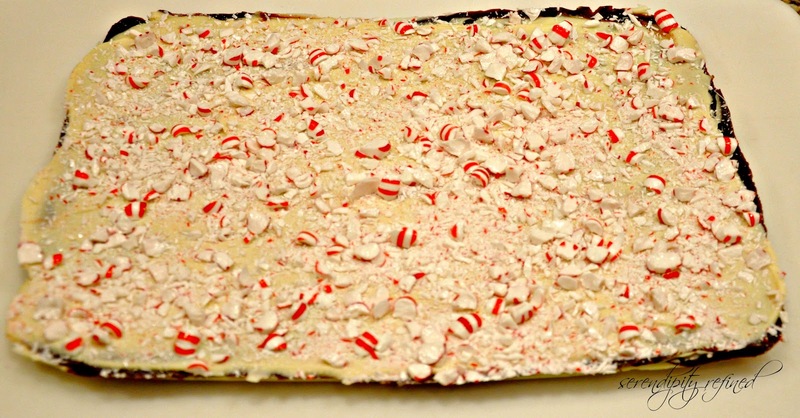 Sprinkle with 1/4 cup crushed peppermints. Chill until set, about 15 minutes. Stir the semisweet chocolate, cream and peppermint extract in heavy medium saucepan over medium-low heat until just melted and smooth. Cool to barely lukewarm, about 5 minutes. Pour the semisweet chocolate mixture in long lines over white chocolate rectangle. 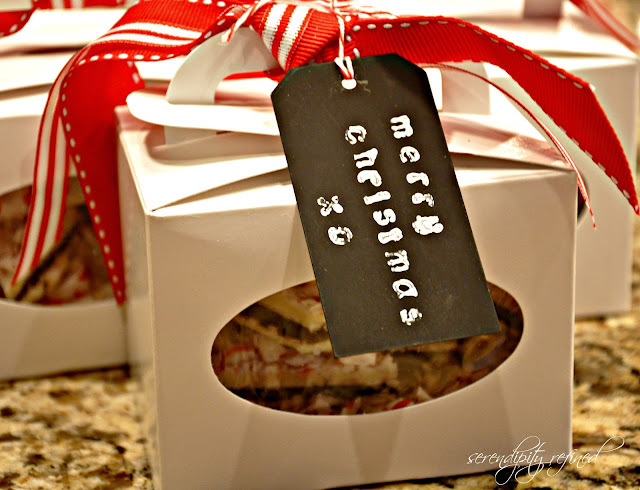 Using icing spatula, spread the semisweet chocolate in even layer. Refrigerate until very cold and firm, about 25 minutes. Rewarm remaining white chocolate in bowl set over barely simmering water to 110°F. Working quickly, pour white chocolate over the firm semisweet chocolate layer; spread to cover. Immediately sprinkle with remaining crushed peppermints. Chill just until firm, about 20 minutes. 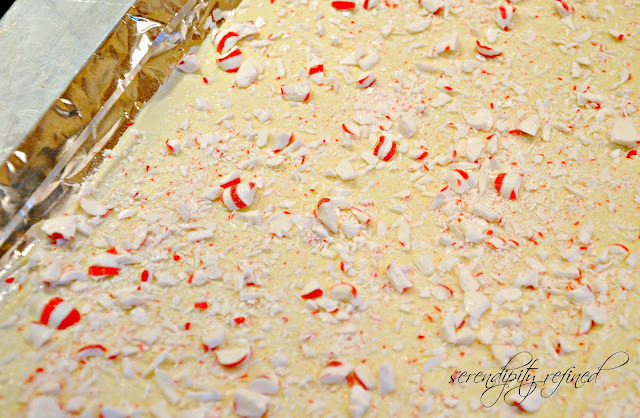 Lift the foil and bark onto work surface and trim the edges. Cut the bark crosswise into 2-inch-wide strips. Using a metal spatula, slide the bark off foil and onto work surface. Cut each strip crosswise into 3 sections and each section diagonally. These can be made 2 weeks ahead but need to be kept cool. 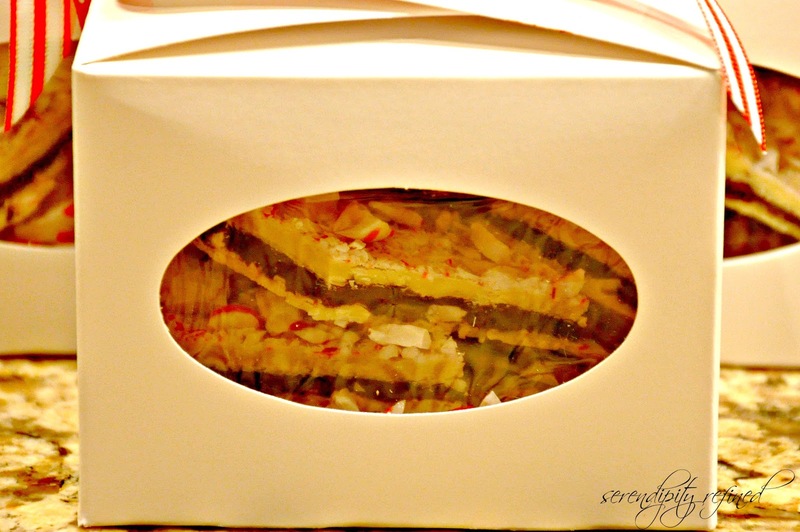 Let stand 15 minutes at room temperature before serving. 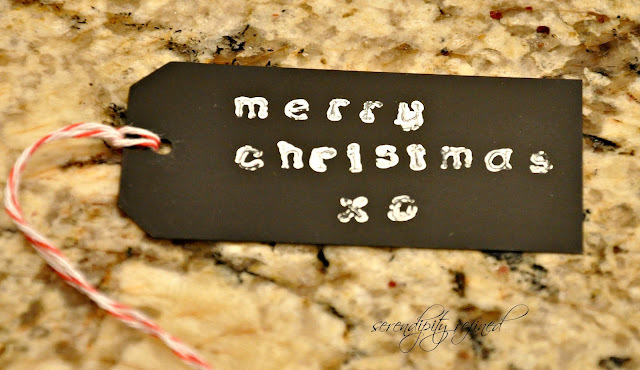 I packaged mine in boxes lined with waxed polka dot tissue and tied it with some red and white ribbon before adding a hand stamped chalk board tag that was inspired by a Secret Santa Gift that I recently received. I'll tell you more about that next week. For today, I'm going to "Let sleeping dogs lie."